Install some of Grosser’s work, or listen to him talk about it, and you’ll discover a subtle shift in the way you think about life online. His work wedges itself between your actual identity and your online identity, sometimes creating chaos, other times revealing something about an otherwise inscrutable algorithm. Campbell-Dollaghan talks about Facebook Demetricator, Go Rando, ScareMail, and Twitter Demetricator, as well as some of my Facebook news feed experiments. It’s a great piece that demonstrates an unusually careful analysis uncommon in the tech-focused press. 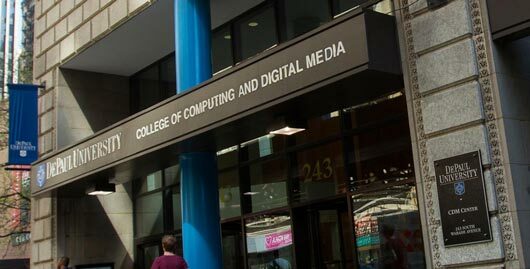 … data and images are not an oppositional binary but rather complementary—at times even congruent—existing in a dynamic interplay that drives technological development and media making both in and outside of the entertainment industries. The premise of the book is that understanding the evolving relationship between data and images offers a key to thinking critically about media and technology in the politics of everyday life. Steve talks about my works Computers Watching Movies and Interactive Robotic Painting Machine, and, happily, images from Computers Watching Movies are on the front and back cover. I’m a big fan of Steve’s work, so am quite happy to be able to share this! 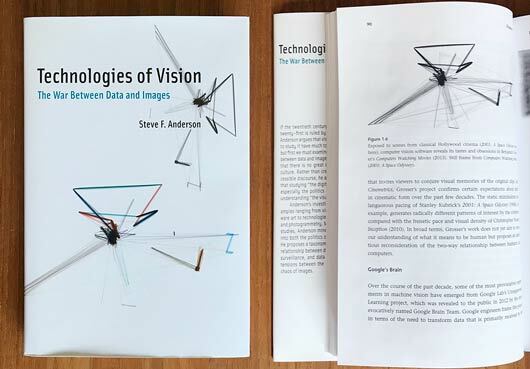 The book is published by MIT Press, and is available direct from them, as well as from Amazon. 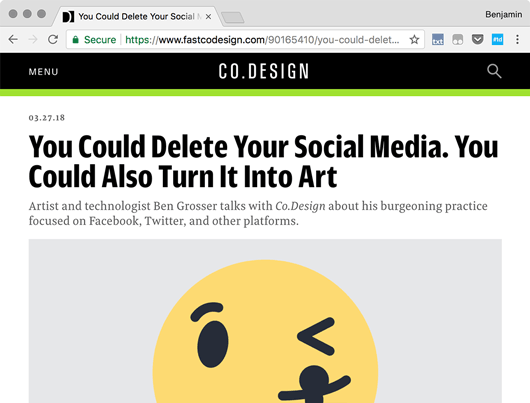 [Grosser] built several Chrome extensions that throw Facebook’s carefully honed algorithms into chaos—like lobbing a digital smoke bomb on your News Feed. Might have to put that in my bio :) Read the full article here. Moments of crisis like these prompt soul searching. If you’re one of those wondering, in the days since this scandal, why you give so much information to Facebook in the first place — or even if you should quit the site altogether — Grosser has a series of tools that can help you interrogate what it is that Facebook has done to you. 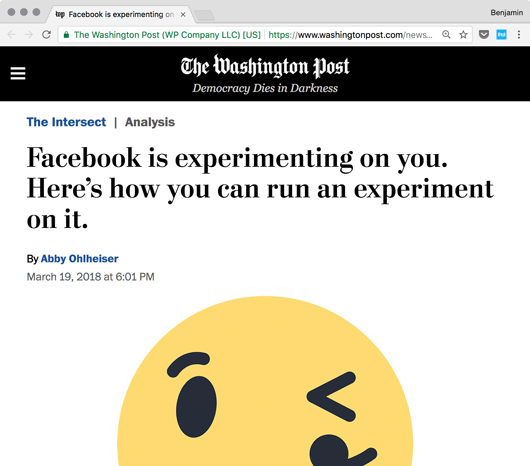 Abby writes a great blog on The Washington Post called The Intersect, examining how the culture of the internet has become an inseparable part of our lives; I recommend you keep an eye on it. Read the full article: Facebook is experimenting on you. Here’s how you can run an experiment on it. Without really meaning to, I’d been glossing over tweets that had relatively few likes and paying extra attention to those that had many. I had even subconsciously developed a sort of multiplier for various Twitter users based on the size of their followings, so that a tweet by a relatively obscure user that garnered 10 likes would stand out in my feed more than one by a famous user that got 100 likes. And in threads with lots of replies, I had been checking like counts as though they were an official scorecard of who was “winning” the conversation. …you might be surprised at how drastically you can change your Facebook or Twitter experience just by hiding a few little numbers. Indeed, it’s almost impossible to comprehend just how central metrics are to the Twitter experience until you install Demetricator. Only when I tried it did I realize that my eyes were instinctively flicking to a tweet’s retweet and favorite counters before I even processed the tweet itself. Only when I tried Demetricator did I understand how much I relied on those signals to evaluate a tweet—not only its popularity or reach, but its value. Will contextualizes his impressions within the current moment, when social media companies are under siege for their roles in everything from their effects on mental health to the ways they were weaponized in the recent US election. I’ve been reading Will’s writing for years, as he’s one of the best journalists out there analyzing technology from a broader perspective. I encourage you to read the whole piece. I had a great time talking with Nora Young of CBC Radio’s program Spark. 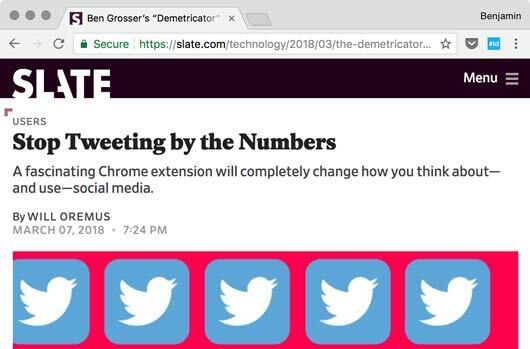 We talk about social media metrics, what a number means (or doesn’t), and about hiding them on Twitter with Twitter Demetricator. To listen, click play above, go to the segment’s page on the CBC site, or download the full episode it’s a part of as a podcast. After three weeks of using the Demetricator, the nature of Twitter, for me, changed completely. In some ways, it became lonelier. Part of the fun had been feeling like part of a crowd, seeing a joke or an idea or an observation become something that fifty people, or fifty thousand, could share. But I’m willing to accept the loss of this superficial sense of community for all the gains. Not seeing any numbers at all made content itself the king. I came to appreciate, disconcertingly, that knowing what was popular before had not only often distorted but also sometimes completely overtaken my experience. With the numbers gone, I realized that they, indeed, had forced a sort of automated experience, guiding and constraining my behavior. The way that Twitter’s visible metrics were helping David feel “like part of a crowd” is one of my interests with this new Demetricator. While Twitter’s like, retweet, and follower metrics are similar—in principle—to Facebook’s like, share, and friend metrics, there’s definitely some important differences in how these metrics engineer user experience. On Facebook, likes/shares/etc are mostly constrained in size by one’s “friend” network, while on Twitter they are unconstrained. At any time, any Tweet’s metrics could reach not just into the hundreds of likes, but into the thousands or even millions. I’m guessing the sheer scale of this potential reaction activates our “desire for more” well beyond what users experience with Facebook. How does this expanded scale of potential reaction affect what David describes as a numbers-driven “automated experience” that guides and constrains behavior? That’s one of the questions I’ll be thinking about in the coming weeks. 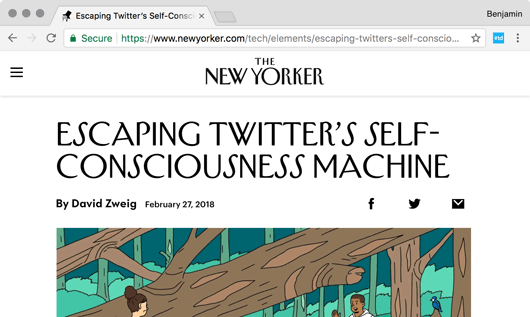 Read about or install Twitter Demetricator, or go to the New Yorker and read David’s piece about it. “Inside the Fluffy Filter Bubble” – On risks and side-effects of cat pictures and other comfort zones. The whole Filmwinter team of Wand 5 e.V., the festival’s support association, shouts: “Let’s dive into the fluffy filter bubble!” With this edition, the Festival is diving deeply into the comfort zones and perception bubbles in which our lives are taking place. The festival’s core is made up of the best submissions from the international competition categories of short film, Media in Space and Network Culture. On the festival’s closing day, jurors will award prizes with a total amount of 9,000 euros. A comprehensive supporting programme as well as numerous events for children and youths will round up the festival. The Festival, which is directed by Marcus Kohlbach, Ivonne Richter and Giovanna Thiery, runs through 11 Feb, 2018. See the full program and more. This piece is one part of a much larger, in-progress work called Autonomous Video Artist, a self-propelled, self-navigating video capture robot that gathers its own video, evaluates it, edits it into artworks, and posts them online. Read more about the work, and/or more about the Athens Digital Arts Festival. How are numbers on Facebook changing what we “like” and who we “friend?” Why does a bit of nonsense sent via email scare both your mom and the NSA? What makes someone mad when they learn Google can’t see where they stand? 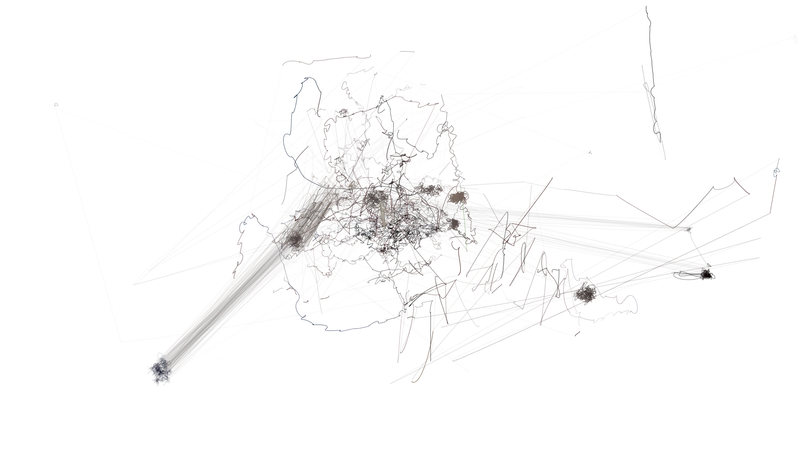 From net art to robotics to supercuts to e-lit, Ben Grosser will discuss several artworks that illustrate his methods for investigating the culture of software. The talk is part of their Research Colloquium series, and is hosted by Adam Trowbridge and Jessica Parris Westbrook. Coming up this Friday, January 19, 1-2pm in room 708, 243 S. Wabash Ave. Chicago. My work Touching Software (House of Cards) will be a part of CYFEST, screening this Thursday at the NY Media Center in Brooklyn, NY. 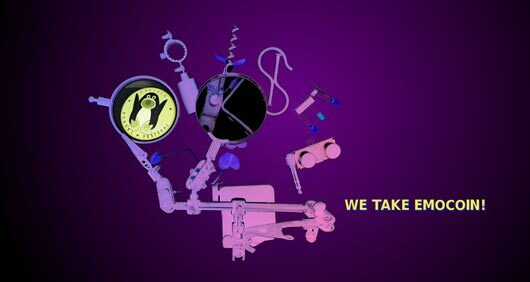 The festival, curated by Victoria Ilyushkina, is an international media art festival organized by Cyland, an art/tech group and lab from St. Petersburg, Russia. After this fall event in NYC, the festival moves to Russia for the winter (date TBA). Read more about the festival here. I could hardly think of a better fit for Go Rando than this! Very happy to be a part of it. It runs from 16-18 Nov, and is directed/curated by Gisle Frøysland and Maite Cajaraville. Starting tomorrow night, I have a new invited work launching as part of NXS, an experimental publication from Amsterdam that “aims to explore the emotional and sensual side of hardware, software and algorithms that normally have been assessed by their functionality, aesthetics and ethics.” This new issue is #2 under the theme of Synthetic Selves. Each contribution to NXS is created in succession, and typically based on the two most previous. As the last one in the chain before publication, I asked the editors for all previous entries and then wrote software to generate a new text based on the rest. I also created a sound work (a synthetic reading of the text) that will screen as part of the launch events in Amsterdam tomorrow and Berlin next week. My contribution is titled Our Emulated Multi-Self, and you can read/listen to it here. Artists/theorists contributing include: Armen Avanessian, Hannah Barton, Karolien Buurman, Gilles De Brock, Ivan Cheng, Kim de Groot, Ben Grosser, Andrea Karch, Kristýna Kulíková, Geoffrey Lillemon, Geert Lovink, Aaron McLaughlin, Dr. Alberto Micali, Shintaro Miyazaki, Nina Power, Daniel Rourke, Sophia Seawell, Marloes de Valk, Keith J. Varadi. NXS is edited by Monika Gruzite, Juliette Lizotte, and Florian Mecklenburg. In addition to the launch events in Amsterdam and Berlin, you can buy a copy online. The possibility of speech between man and machine by programming software and the writing of algorithms enables a new way of looking at the generative process in artistic investigation. If the generative was originally described as the delivery of the individual subject and as an uncritical use of program code for the computation of a final work, many artists today deal with the extended scope of action, expressive possibilities, and the performative quality of code. This survey of the code, however, is not limited to its artistic qualities, but often transcends an examination of its social, political and technological meanings, and simultaneously breaks down as a pure tool. This exhibition brings together artistic experiments, questions and definitions that reflect the generative and find an individual contextualization. In the appropriation of a generative process, the artists understand code less as a craft, but as an artistic possibility of expression and an extended space for action. “Processing” therefore shows intimate insights as well as critical societal reflections, and devotes a wide range of ideas and negotiations to the programming artist. In formats such as graphics, generative films, sculptures or robots, various manifestations of the generative are examined and discussed in the exhibition. My work Computers Watching Movies is part of this group exhibition, which also includes works by Ursula & Michael Endlicher, Mike Huntemann, Martina Menegon, Julian Palacz, Niki Passath, Christa Sommerer & Laurent Mignonneau, Clemens Tschurtschenthaler, and Martin Zeilinger. It opens as part of Vienna Art Week, and runs through the end of November. “Sensitive” machines are those that trigger an identification process, even a projection process in us. They mirror ourselves. They send us back to our own frailty, to our joys and our pains, our fears and anxieties, to our desire, and (to) the absurd behaviour we adopt at times to bypass our weaknesses. They face us with the beauty and the absurdity of the human condition. Yet is not that sensitivity a potential source of angst? To what point can we allow machines to look like us? A too-human-looking one might claim its rights as a “species”, in some emancipation move, or to overpower its creator. Is this the reason why, beyond a certain threshold of likeness, a humanoid robot will end up making our blood run cold and will in the end be rejected? Read more at the Accès)s( Festival site. The exhibition is open through 9 December, 2017.